Jayam Ravi is having a good time as regards his career and today being his birthday, we wish him a very happy birthday! On the professional front, he is a part of many films such as Bogan and Tik Tik Tik. 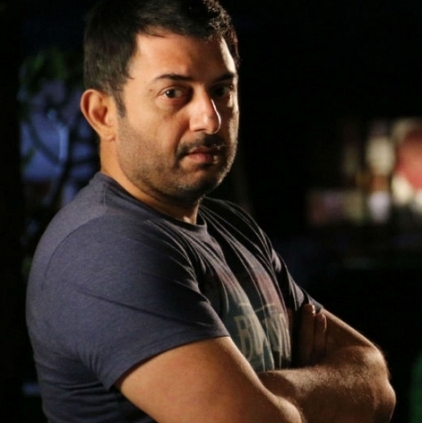 In Bogan he is teaming up with his Thani Oruvan baddie Arvind Swami and as per sources, the film is said to be based on the concept of soul transfer from one body to another (கூடு விட்டு கூடு பாயும்). As per this, the first half will reportedly showcase Arvind Swami as the baddie and Jayam Ravi as the good guy and vice versa in the second half. This might ring a bell for movie buffs as the 1995 Singeetham Srinivasa Rao directorial Chinna Vaathiyaar had a plotline of soul transfer. The film had Prabhu donning dual roles of a professor and a student with Kushbu and Ranjitha as his screen partners. It looks like an interesting theme and let us wait for official confirmation. Popular TV actress suffers burns after fire accident! Breaking: You will be surprised to know who's directing Vikram's next! SPB Charan wins a case for Aaranya Kaandam filed by Thiagarajan Kumararaja! People looking for online information on Arvind Swami, Bogan, Jayam Ravi, Lakshman will find this news story useful.